Mr. Mohamedali Habib is joint-president, Chairman of the Board of Directors (HMB) and member of general management at Habib Bank AG Zurich. He also serves on the Board of the Habib Group of Banks in Pakistan, Hong Kong and South Africa, and the boards of Indus Motor Company Limited, Habib Insurance Company Limited, Thal Limited, and the Habib University Foundation. 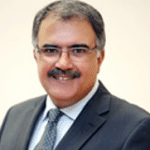 Mr. Mohamedali Habib is the founding member of the Lasbella Chamber of Commerce & Industry; a member of the Young Presidents Organization; and a Certified Director from the Pakistan Institute of Corporate Governance (2010).